The Library welcomes cash gifts, memorial donations and bequests. Donations of $100 or more are noted on the Library Benefactors plaque in the lounge. Donations of $1,000 or more are designated by a book logo. Bequests can also be made to the Chippewa Falls Public Library Endowment Fund (see below). permanently set aside for the long-term benefit of the library. remains intact as principal to be invested. earnings from the principal become an ongoing source of funding that can ensure the growth and advancement of the library for future generations. will be used for new technologies. will be used to build collections of materials. eventually, we hope to expand the library building thereby creating new and more vibrant space for people to use in a variety of ways. To donate, pick up a donor brochure. Use a credit card or donate online to the Community Foundation of Chippewa County Library Endowment Fund. The Chippewa Library appreciates donations. We cannot, however, accept materials in certain conditions. Donations become the property of the Library to use, distribute and dispose of as we deem appropriate. *Items must be in good condition. See below. Soiled with grease, dirt, food, insects, etc. Marked with pen, pencil, marker, crayons, highlighters, etc. We use donations to augment our collections or they may be used to replace books that get worn out or damaged. Some children’s books may be used for prizes in our summer reading program. Other donations go to the on-going Friends of the Library book sales. 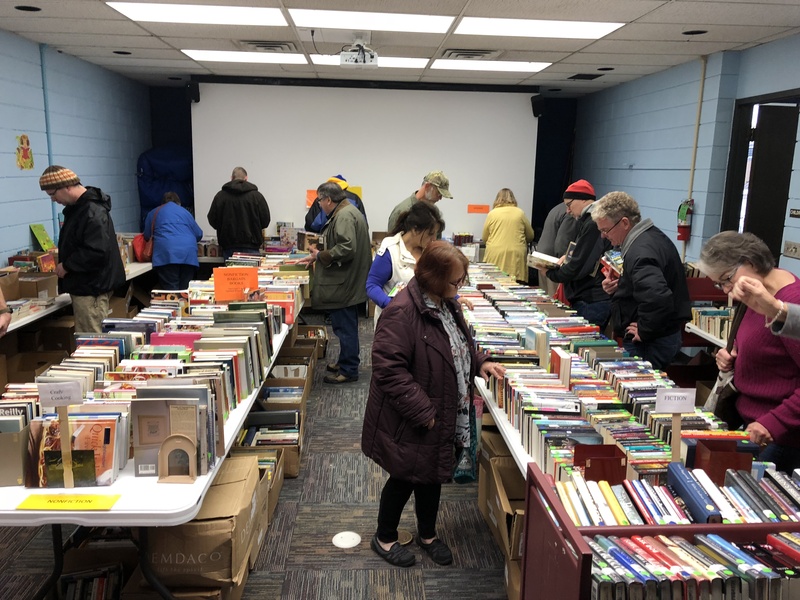 The Friends organization uses the funds to bring authors and performers into the library, or to sponsor special events. When a donation is received, a receipt is available to document the nature and size of your gift for your tax records. However, Library staff is prohibited by law from placing any monetary value on the material donated.